Feel free to contact Cantor Debbie directly by calling (954) 472-3600 or sending her an email. Debbie’s musical journey has been inspired by her strong Jewish training and education. For many years, she was mentored by Cantor Benjamin Klonsky z”l who was a fourth generation Eastern European Cantor. From Cantor Klonsky, Debbie learned how to daven, chant Torah and Haftarah and inspire a congregation. As a result of her involvement in synagogue life, love of Jewish music and her passion for Israel, Debbie made the decision to expand her Jewish knowledge and pursue a career within the Jewish community. Debbie earned her BA in Judaic Studies from Wesleyan University and her MA in Jewish Education from Brandeis University. She has been blessed to study with and learn from many Cantors and Cantorial Soloists, including Cantor Klonsky; Ramat Shalom’s first musical leader, Cantorial Soloist Bella Bogart; Cantor William Hauben at Rodeph Shalom in Tampa; Cantor Julie Jacobs at Beth David in Miami; and Cantor Malcolm Arnold at Kol Tikvah in Parkland. Debbie has also networked with some of Judaism’s most prominent contemporary musicians and vocalists including: Rick Recht who has touched so many of us at Ramat Shalom; Julie Silver whose music is embraced nationally by the Union for Reform Judaism and globally by the World Union of Progressive Judaism; and Josh Nelson whose music is currently a highlight of our Shabbat services. One of Debbie’s most important musical influences was the late Debbie Friedman z”l with whom Debbie shared a close relationship. 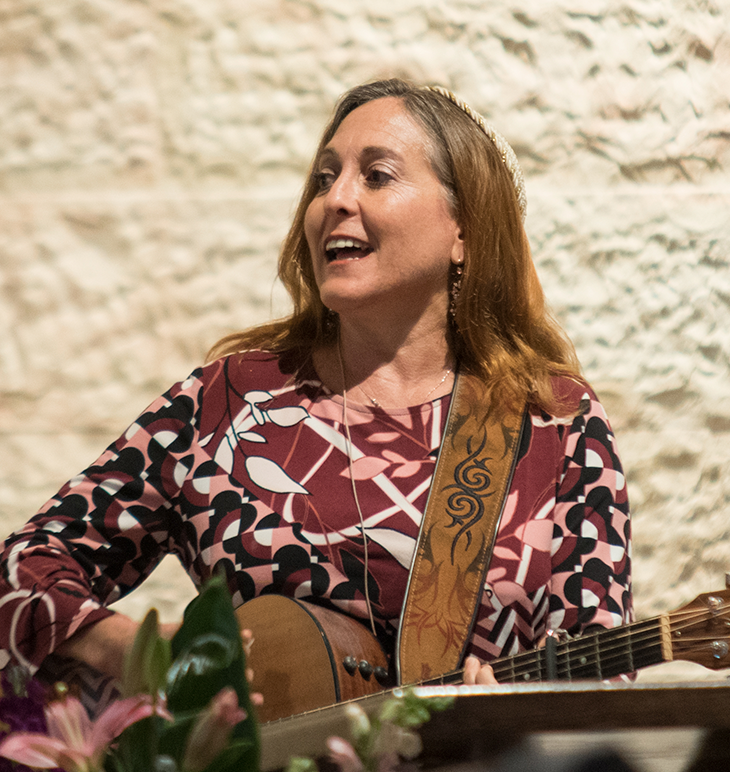 Debbie Friedman’s Mishebeirach, L’chi Lach and other well-known prayers/song have been a part of Ramat Shalom’s liturgy for years. Debbie’s most prominent musical influence is her husband Harold with whom she often composes, produces and arranges music. Harold frequently serves as Debbie’s accompanist. Debbie’s academic and musical training, her Jewish ritual knowledge and her musical gifts have made her a truly exceptional Cantorial Soloist and Jewish Educator. For more than two decades, Debbie’s voice and wisdom have been inspiring synagogue communities. Her professional experience includes having served as the Director of Education and Youth at Congregation Rodeph Sholom in Tampa, the Cantorial Soloist at Etz Chayim in Fort Lauderdale, the Cantorial Soloist/Education Director at Temple Beth El in Hollywood, and, most recently, the Director of Lifelong Learning at Kol Tikvah in Parkland where she also served as a Cantorial Soloist, leading services, overseeing the B’nai Mitzvah program, teaching Torah, music and prayer to religious school students and conducting life cycle events. Debbie is married to Harold and is the proud parent of Benji, stepsons Michael, David and Rick, and proud grandmother of Isaac.